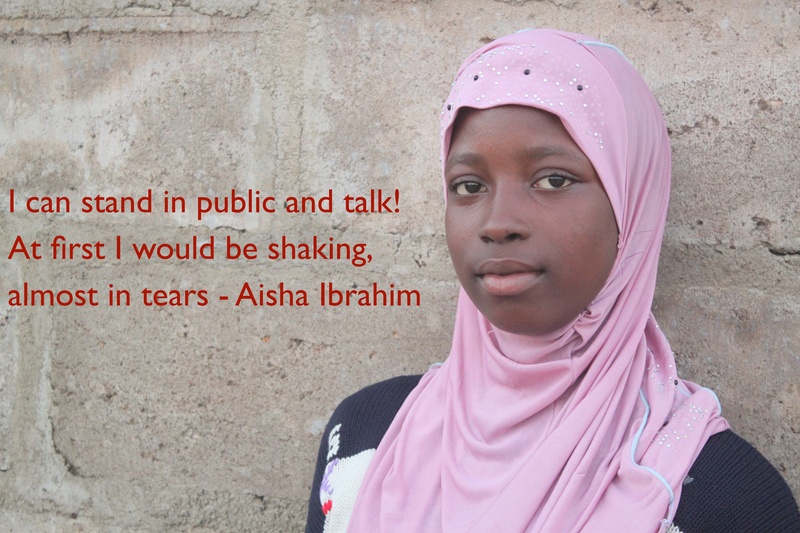 14-year old Aisha grew up in Nima. She was raised single-handedly by her grandmother, Bere (she calls her). Bere is very pleased that Aisha has now become an Achiever and can pursue her dreams of becoming a journalist. Even as a child, Aisha would sit in front of the TV to listen to the news being read. She developed a passion for reading and can’t wait to go to the University in the next 5-6 years to learn about broadcast journalism. Aisha heard about the Achievers through friends in the community. So one day, she says, I took a trip to the roof of the mosque to see for myself. That day we learned about patience, and since then I continue to learn something new and valuable each day. But the best part of her story is that she gets to stay in school. She admits that Bere would not have been able to continue paying her fees and textbooks…… Bere hasn’t been well in the last few years. I really hope Achievers Ghana can continue to support me all the way up to the University. Aisha is only 1 of over 200 girls from Nima being sponsored in school by Achievers Ghana. Do you want to help keep girls like Aisha in school this upcoming school year and onwards. Join the 2015 Ramadan Fundraiser by reaching out to mail@achieversghana.org or +233 (0)243458138. They deserve it! This entry was posted in News and tagged 2015 Ramadan Fundraiser, Aisha Ibrahim. Bookmark the permalink.